Check out our most popular vacation packages (7-14 days). Here we present a few model itineraries which can be changed according to the wish of our clients. Discover your options for one day tours of Polish cities. Full and half day trips of Krakow, Warsaw, Gdansk and Wroclaw. Customized tours for special requests. Let us help you to design your own tour; together we will prepare a unique itinerary specially for your journey. Choose and book a hotel in Poland on line. 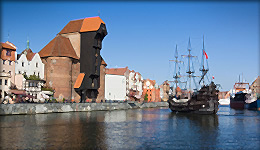 A large variety of accommodation options in Poland - budget and luxurious hotels. Best rates & easy booking. Click here for a reliable airport shuttle service in Poland. We can provide you with a chauffeur driven car to and from airports in 4 major Polish cities. Need transportation service in Poland? Hire your own private minibus or coach with qualified and experienced driver. Click for more details. We are an independent, Polish Tour Operator (license number 1072) offering top quality tours to a range of exciting destinations in Poland. We specialize in tailor made holidays providing a personal touch for each of our customers from around the world. We offer customized services to individual travelers, couples, families and organized groups. Our tailor made programs are meticulously designed and the choice is always yours, not ours. Assisting people with their travel arrangements is our passion. 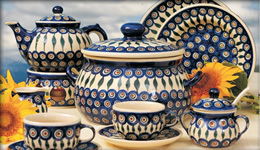 As natives of Poland, it is our goal to help others discover the wonders of our heritage. Poland is a fascinating destination waiting to be explored by you. We know every city here and have a better understanding about our culture and people than any other foreign travel agency. Even the longest journey begins with one step so let’s do it together!